The archaeological and historical marvel that is the ancient city of Palmyra has been ravaged by the Islamic State of Iraq and Syria (ISIS). AFP photographer Joseph Eid has published emotive photos starkly illustrating the damage Palmyra has endured since its capture by ISIS in May 2015. Since ISIS took control, the international community has feared—correctly so— for the UNESCO heritage site. 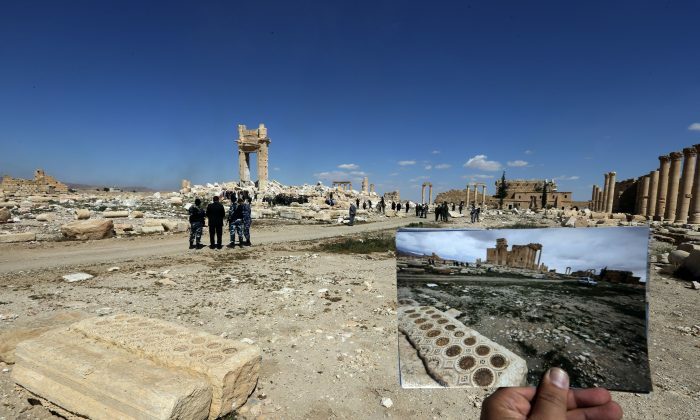 Although they are not the first images that have surfaced since the Syrian Army took back Palmyra on March 27, 2016, Eid’s photographs poignantly demonstrate how damaging ISIS’s occupation has been on the ancient city.